The leading manufacturer of flexible conduit. At Andrex, manufacturing is a science, not an art. If you are shopping for flexible conduit, Andrex can supply your requirements. 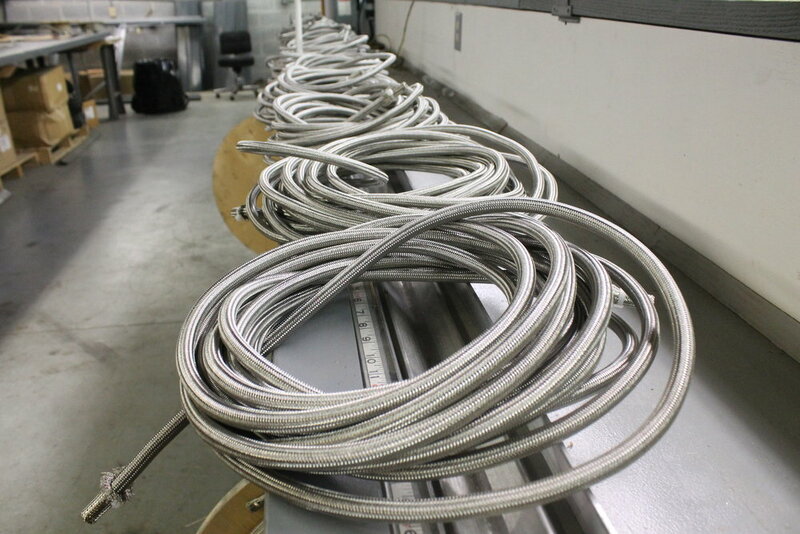 We offer extremely flexible cable that can be strip wound, helically formed, or convoluted. They can endure prolonged vibration, high temperatures and extreme pressures with excellent EMI, RFI, and EMP protection. Andrex conduit products are used on ignition cables and are key components in jet engine technology. Serving aerospace, marine, military, medical and industrial needs. For marine, aerospace, military, medical, and industrial applications. Andrex highly flexible conduit is used in marine, aerospace, military, medical, and industrial applications. It is used primarily for mechanical and electrical shielding of wired assemblies because Andrex conduit provides excellent protection against moisture, heat, vibration, electro-magnetic interference (EMI), electro-magnetic pulse (EMP), radio frequency interference (RFI), and is qualified to MIL-C-13909 / A-A-52440. Other applications for Andrex conduit is the transport of common media such as steam, water, oil, gasses, air, chemicals, and cryogenic liquids. In addition Andrex conduits are being used in the fiber optics field as mechanical protection of fiber optic wires. The most recent application is in the medical field. 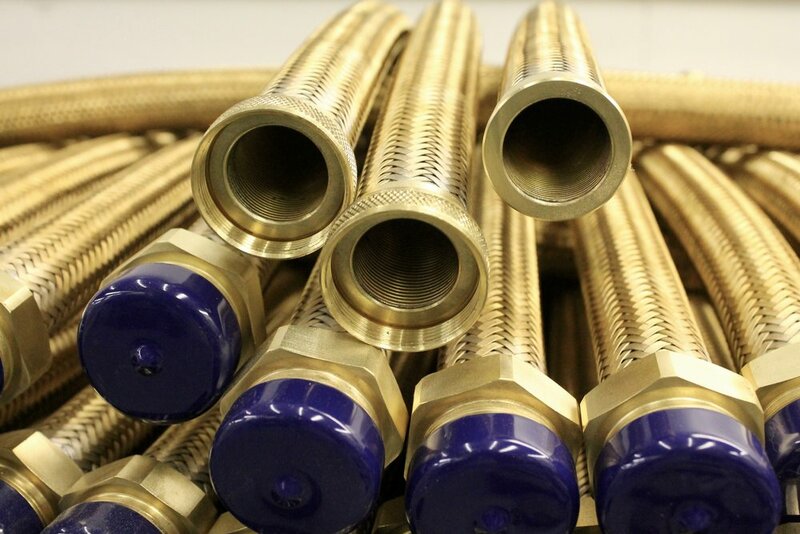 Andrex stainless steel conduit is made into assemblies for tracheal tubes for CO2 laser surgery. Protection against moisture, heat, vibration. Protection against EMI, EMP, and RFL. Steam, water, oil, gasses, air, chemicals, and cryogenic liquids. Mechanical protection of fiber optic wires. Providing protection against moisture, heat, vibration, EMI, EMP and RFI. All product components utilized must pass rigorous incoming inspections, as well as full-process manufacturing inspections that are conducted during every stage of production, to ensure absolute compliance to Andrex rigid standards. Upon completion, full specification testing is done and everything is physically inspected to ensure 100% design conformance. 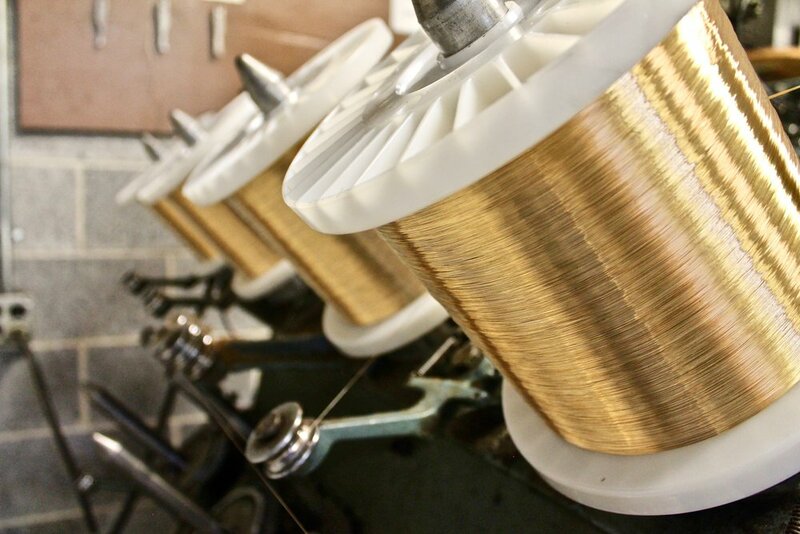 The manufacturing process first involves pulling flat metal ribbon strip through form rolls into a die, which forms a helix and interlocks the material into a convoluted tube; during the process solder (for brass core) or copper wire (for nickel iron and stainless steel) is enclosed in the seam. 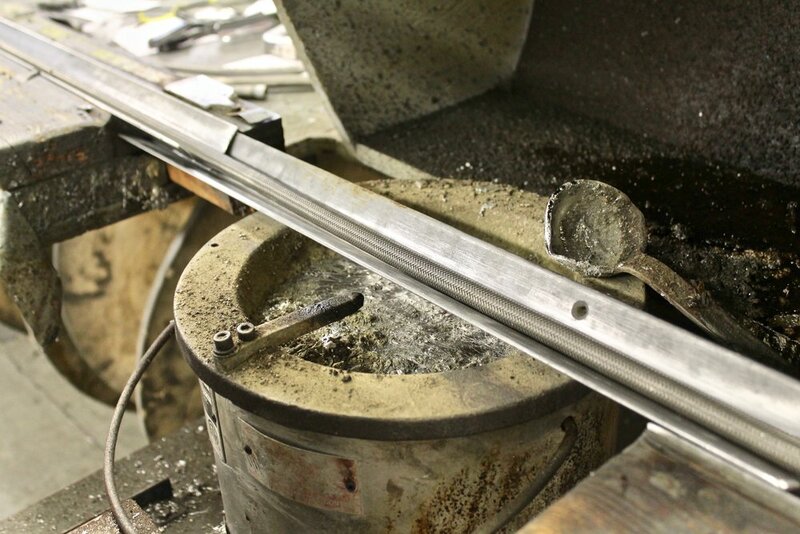 Second, the solder joints in the brass core, nickel iron core, and stainless steel core seams are completed. 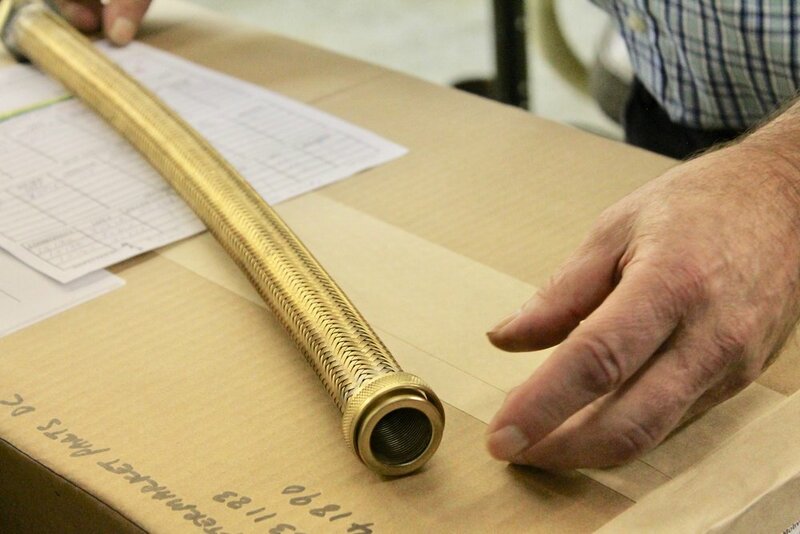 The brass core passes through a temperature-controlled oven to melt the solder in the seam. 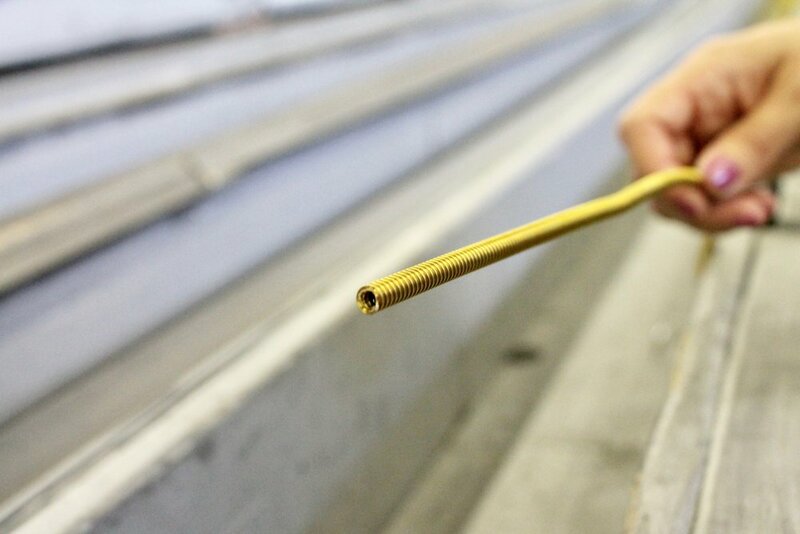 The result is an airtight flexible conduit. The copper wire enclosed in nickel iron and stainless steel products are outsourced for brazing of the copper in the seam. The conduit is processed in a pure hydrogen atmosphere (2000 degrees F) to melt the copper wire in the seam making it an airtight flexible conduit. 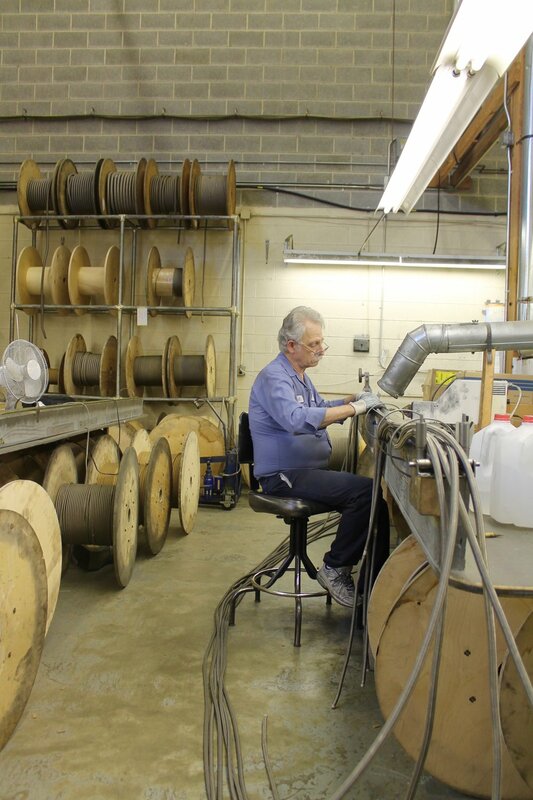 To complete the core manufacturing process the conduit is compressed, greatly improving flexibility, reduces the overall length by 20% to 40%, and increases the weight per foot by a percentage corresponding to the amount of compression. The conduit is tested for leaks by submerging the product into water and applying an internal air pressure of approximately 50-100 PSI. If required the conduit can be over braided using fine wire .006-.016 diameter in a two over two under basket weave pattern. *Various types of braiding materials are available. Commonly used materials include bronze, nickel, stainless steel, tin, copper, and aluminum. 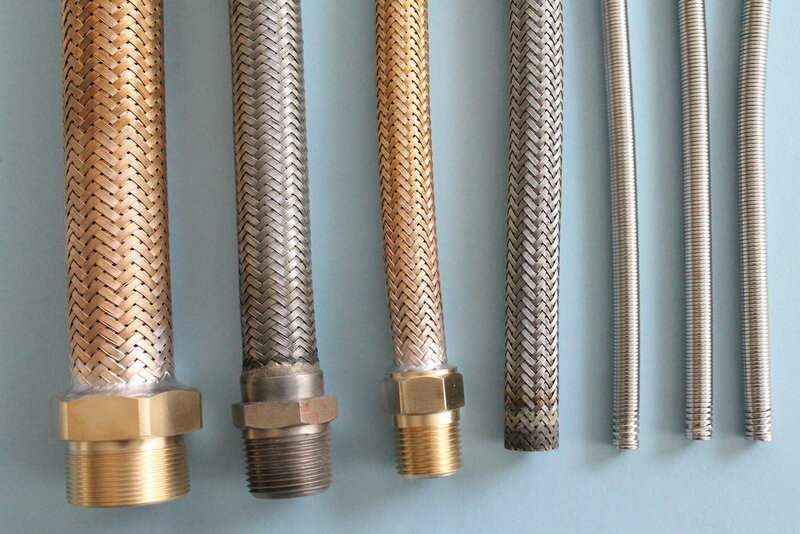 The braiding process is applied according to customer application requirements and specifications. 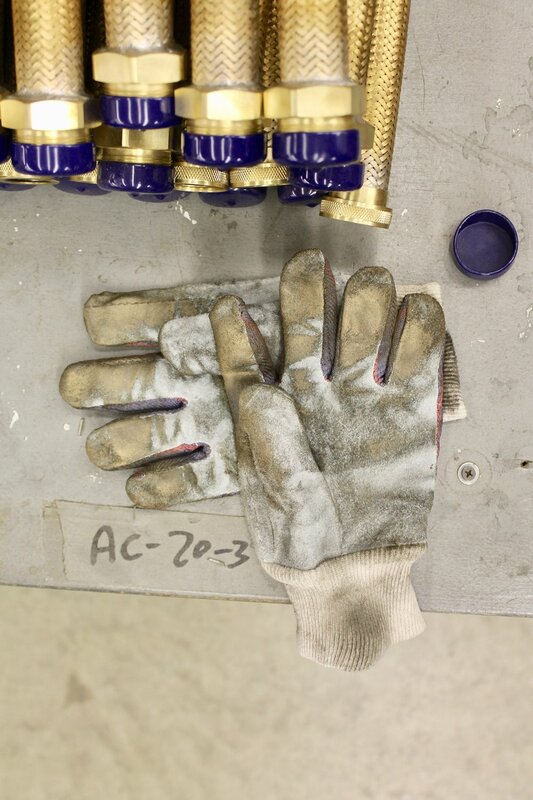 Andrex core assembly line products like our ignition cables are key components in jet engine technology. Operating in compliance with all military specifications, and even tougher Andrex internal standards. For a copy of our ISO certification, email Sales@Andrex-USA.com. Andrex is proud to have some of America's most respected companies as our customers. 101 Bilby Road, Suite E.
Copyright 2018 Andrex Inc. All rights reserved.